In 2014, when Samsung introduced the concept of design, the Galaxy Edge screen smartphone, the flagship mobile devices have displays, rounded at left and right edges. This achieves the effect more depth and broader perspectives of the screen. Scheduled to the nearest exit Galaxy S10 and S10 Plus will also retain this characteristic of a corporate style, expanding it embedded in the display of the camera. 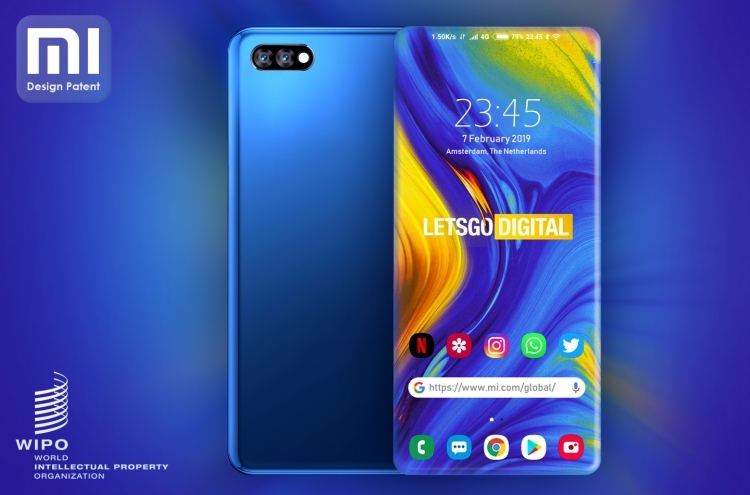 Xiaomi, the largest smartphone manufacturer in China, also thought about it and hurried to register a corresponding patent, entitled “full-screen smartphone with a 4-sided curved display.” Document posted February 5, 2019 in the global database by design, the world intellectual property organization. 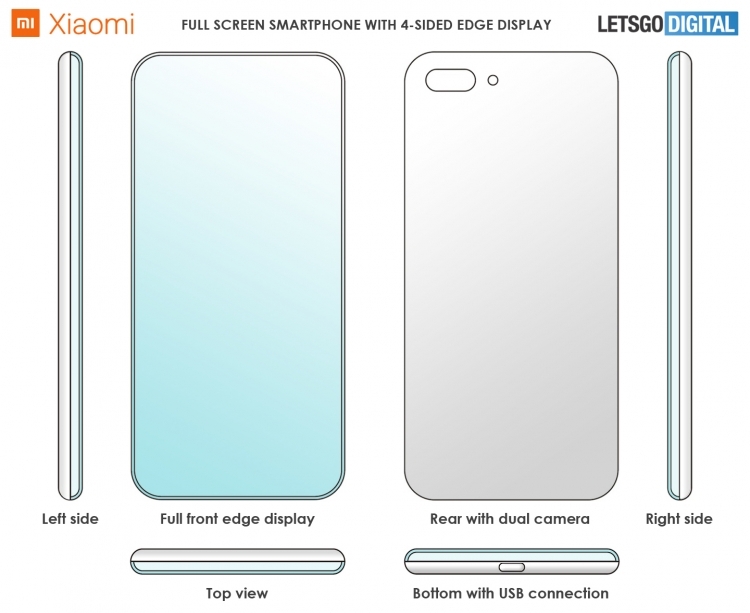 The following picture shows blue Xiaomi phone with curved on all sides of the screen. It looks interesting, but unrealistic. There are serious doubts that such a screen can produce. You can also pay attention to the lack of front camera and side buttons control volume and turn on your smartphone. The impression that Xiaomi has patented a theoretical shape of the device doesn’t have a clear idea exactly how the idea can be implemented. However, the concept of securing a patent, the company can obtain some advantage when and if such design solutions will be technically feasible. However, in the foreseeable future, the market should appear no less exotic form of smartphones with curved screen. Such a development has and Xiaomi, and we’ll probably learn more about it at the upcoming exhibition MWC 2019. 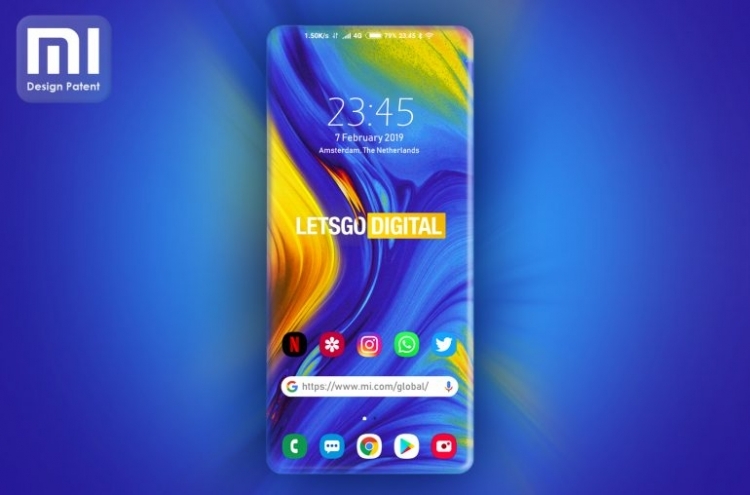 The company will also introduce its first smartphone with support for 5G, which will be a special version of the Mi 3s Mix.